This post is just screaming for a lot of bad puns and offensive, double-meaning titles. But I guess, one can summarize it best with this: if you look for crap, then you will get crap! 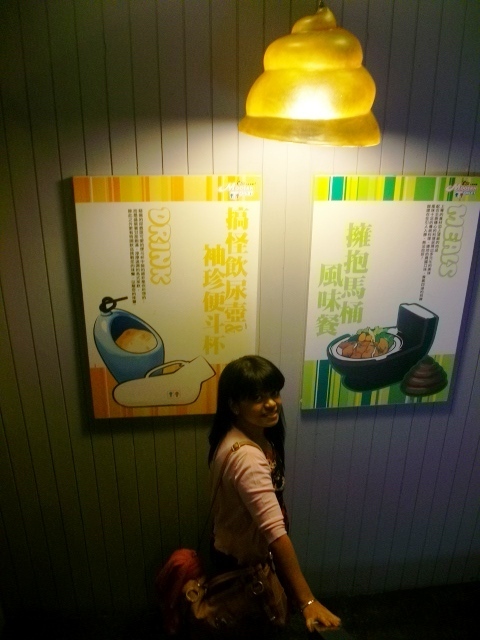 This we realized to be true following our not-so-stellar experience at Modern Toilet, located at the Ximending District in Taipei, Taiwan. 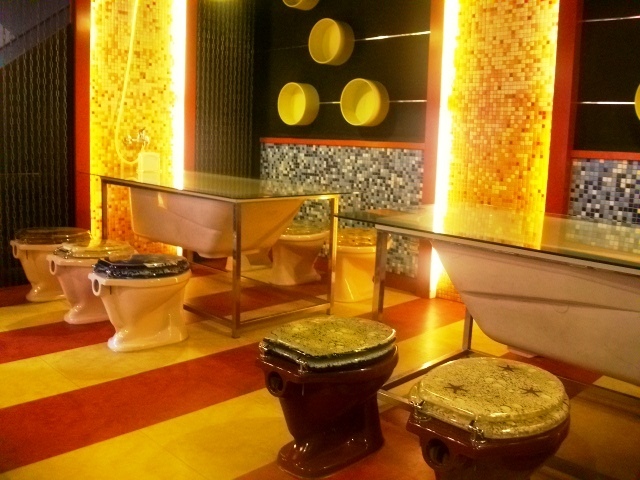 For the uninitiated, Modern Toilet is a theme restaurant where the main feature and novelty is being served on toilet seats, while eating in a bidet or toilet shaped plate decorated with variations of poo. It’s a sort of thing that would be really funny for ten year old boys who find humor in bodily functions. However, we were in Taipei for a limited time only and wanted to just get on with the experience of dining here because we were there anyway so might as well try.. We first went to Modern Toilet on our second night in Taipei, the restaurant is located on one of the alleys within Ximending and finding it is not an easy task. But we wanted to try it, so off we go following a trip to Shilin Night Market. After a bit of a search, we finally found it by 9PM. We excitedly went up the stairs only to be turned away, with the servers explaining that they are already closed. We wanted to argue that it’s still 9PM and their sign downstairs say that they close at 10PM. But there was a language barrier and I was just tired from roaming around (Yehliu-Shilin then a mad dash to Ximending for Modern Toilet) that I just gave up. You would think that the experience will be enough to make us stay-away, but no — we decided to come back the next morning for brunch and to celebrate the first meal of the day celebrating my sister’s birthday. 1. You will be given the menu and a dry-erase marker. 2. 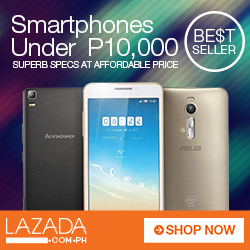 Mark your order from the items indicated in the menu. 3. Bring it to the cashier and pay. 4. Wait for your food. My sister and I chose a set meal, Tuna Pasta (NTS 275) for her and a breaded chicken with melted cheese (NTS 260) for myself. The mains came with soup (hers was a creamy pumpkin puree while mine was flavored water with floating green bits), green iced tea (tasted awful) and soft-served ice cream which came at the end of the meal. my sister’s pasta served in a “wash basin” type plate. Okay, let’s talk first about the food. Honestly, it’s nothing to get excited about. The pasta was watery and needed salt and the iced green tea tasted awful we decided to stick with the water we have at hand. The breaded chicken was okay, made delicious by the melted cheese that oozed out. I did not enjoy my soup nor the rice (since I do not eat rice that much). The soft-served ice cream is okay, at best. 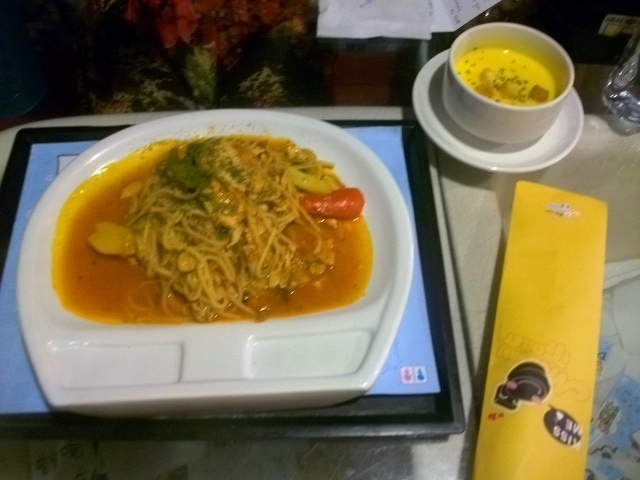 Considering how tasty and delicious the food of Taipei is (and cheap too! Shilin Night Market proved that), Modern Toilet is a bit of a let-down considering the high expectations we had for the restaurant. The cost, in my opinion, is okay (NTS260 for a set) but note that you can get a yummier option at lower the cost in any of the many themed restos around Ximending. 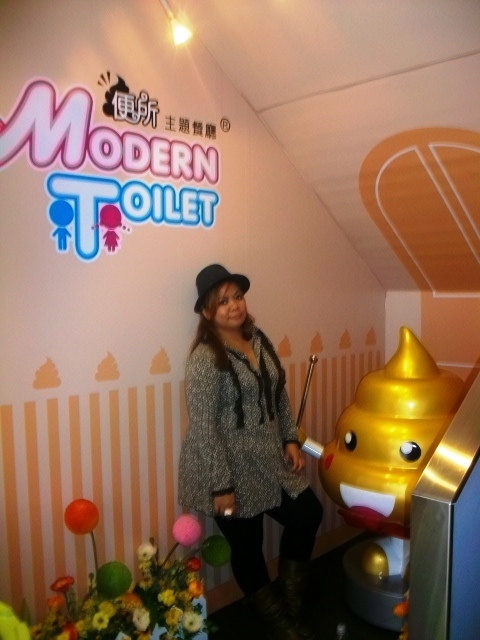 Admittedly, the allure of Modern Toilet comes with the whimsy display of poop. 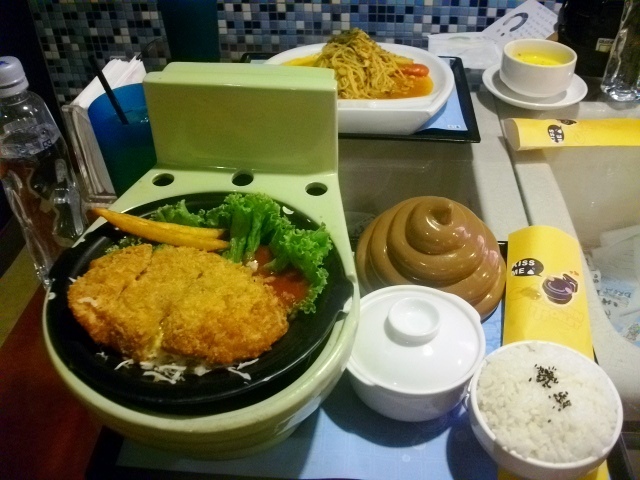 There are poop figures; they were selling candies shaped like poops; you can upsize your drink and order it served inside a plastic urinals for just NTS40; you are sitting on toilets with cute covers; food is served on glass-topped bath tubs and your ice cream comes shaped like poop. It’s a nice experience to have and something which can be best enjoyed with your family and friends, as you laugh on the cute poop displays and the fact that you are drinking on a miniature urinal. No, this is not the ladies’ restroom. This is the sink. 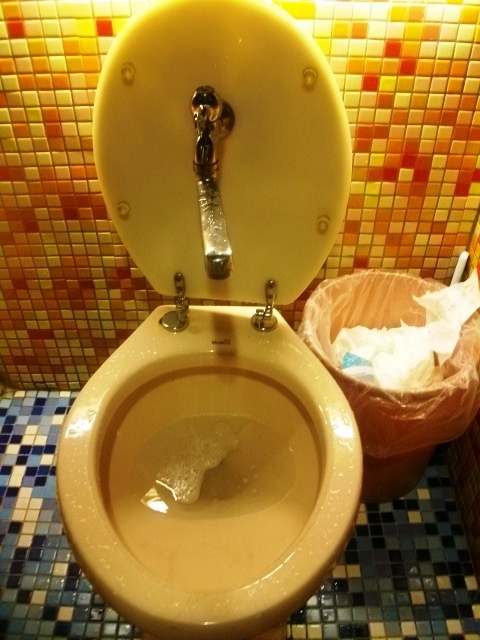 The sink is a whole toilet bowl modified with a faucet. This is a great idea with a weird execution. It didn’t help the sink is already dirty by the time I used it that it kinda grossed me a bit. It is indeed funny for a while, until you realize you are no longer ten years old and words like “poop”, “fart”, “dork” and others that may connote further bodily functions no longer amuse you. 4. Then turn right once again. Walk a few steps. 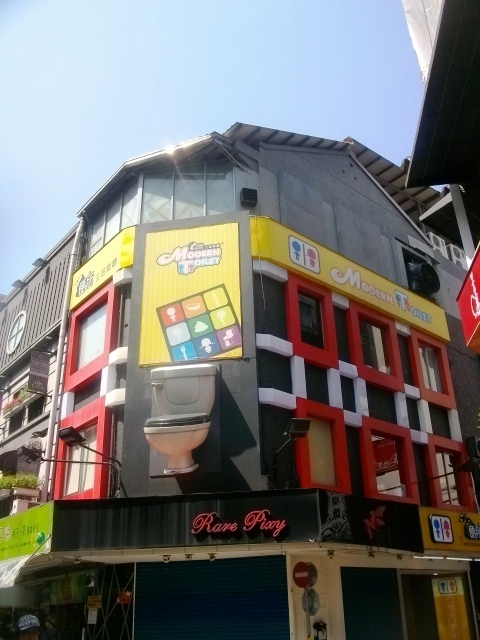 Modern Toilet is to your left and located on the second floor. After you have your fill, I suggest you explore the neighborhood where Modern Toilet is located, lots of nice shops and hole-in-the-walls to discover. 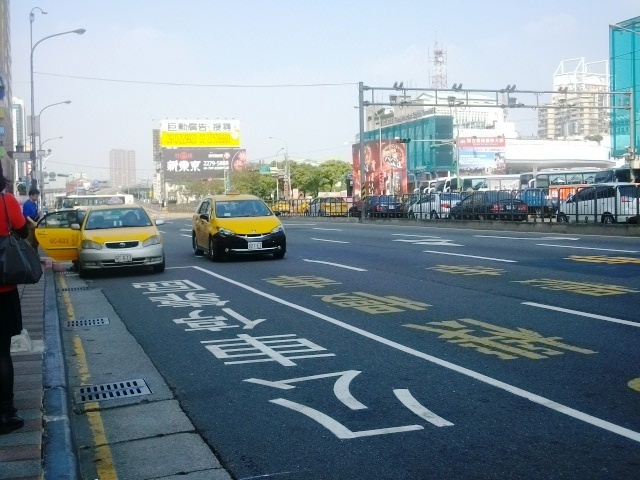 2F, No 7, Lane 50, Xi-Ning South Road, Taipei Taiwan. Prepare around NTS 250-NTS400 per person depending on your food preference. If you have plans to visit Taipei, here’s a recommendation. 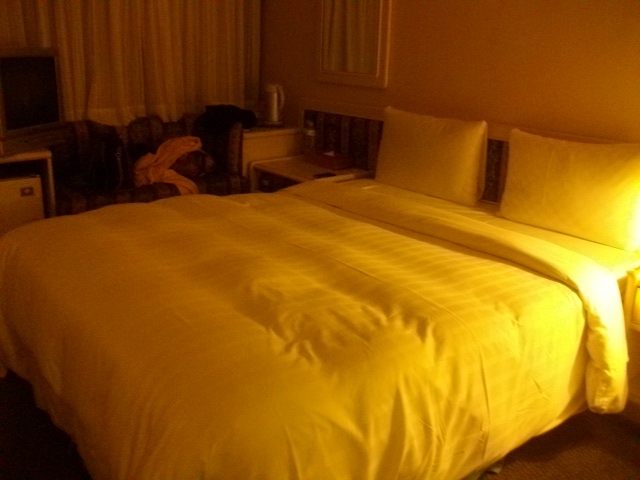 Stay at City Inn Hotel Plus Ximending! Forget that this little gem has comfortable, clean rooms that is just a hop, jump and cartwheel away from the Station 3 exit of the trendy Ximending district. 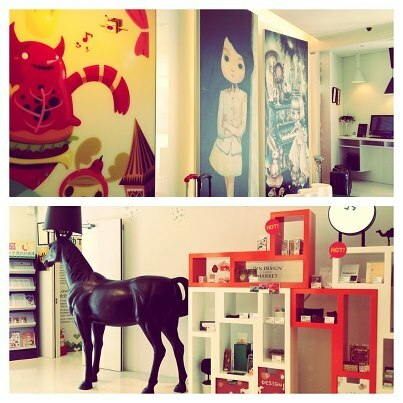 Forget the whimsical designs, the art decorating the walls and the lifesized horse statue (lamp?) parked at the lobby. Forget its affordable rates, or that booking a room over the internet is easy. 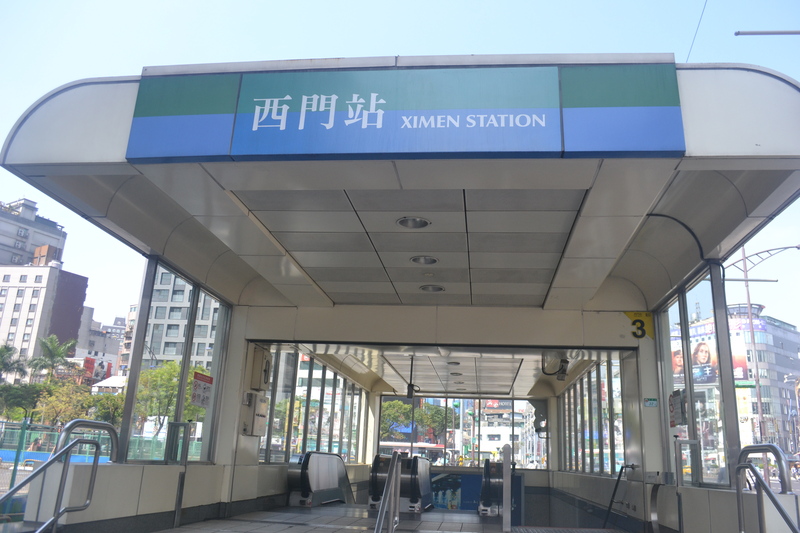 Exit 3 of Ximending Station. 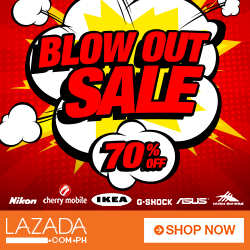 Look for the bright orange sign and count to ten — you’re now at CityInn! …at the end of the day, prepare yourself for unrivaled customer service that surely must have been prevalent only on five-star establishments. The shelf near the horse sells unique souvenirs that reflect the art visible through out the building. The items are both cute and functional, the perfect souvenir for the budding artiste in you. If this won’t set you up for expectations that you are in for a very unique experience, then just wait until they start rolling out the virtual red carpet. 1. Rooms are small but gets the job done. There is no closet, instead you will be provided with around 4 to 5 hangers. If you do not have the wardrobe of a famous celebrity, no problem. We booked for a twin room (for NTS 2,180 or about PHP3,270 per night) which came with two single beds, complete bathroom amenities and free munchies on the top drawer. There is a small fridge and free mineral water. The beds are super comfy. After staying at Keyman’s, where our backs were realigned no thanks to the rock-hard beds, the soft and comfortable mattress and pillows offered by CityInn were a welcome respite. We ended up oversleeping on our first night. A/C is okay and adjustable based on your preference. Room light is backlit so you don’t have to fumble through out the night as you look for a switch. 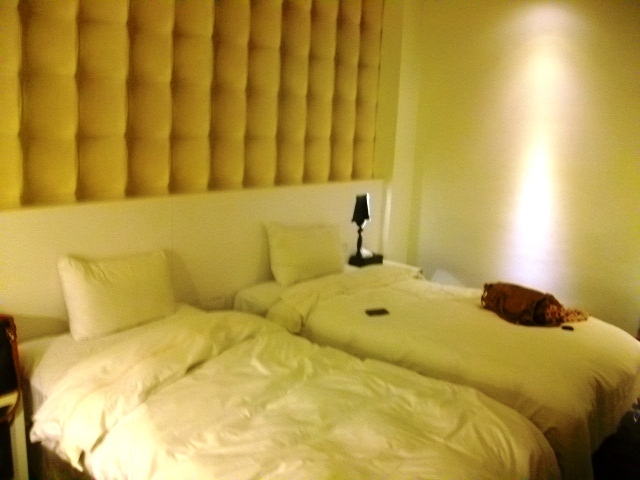 Twin Room at CityInn Hotel Plus. Comfy beds! 2. No breakfast provided. However, you can have your fill of coffee, tea or fruit juice for free on the basement floor. There are also two desk top PCs provided if you want to browse the internet. Wifi is available throughout the building. CityInn also offers free usage of the laundry machine, also located at the basement. No need to buy soap, it’s also available at the basement. If you start craving for munchies or for breakfast, you can arrange for sandwiches to be delivered to your room, courtesy of the cafe nearby. Just place your order via the hotel reception and they’ll bring it up your room. 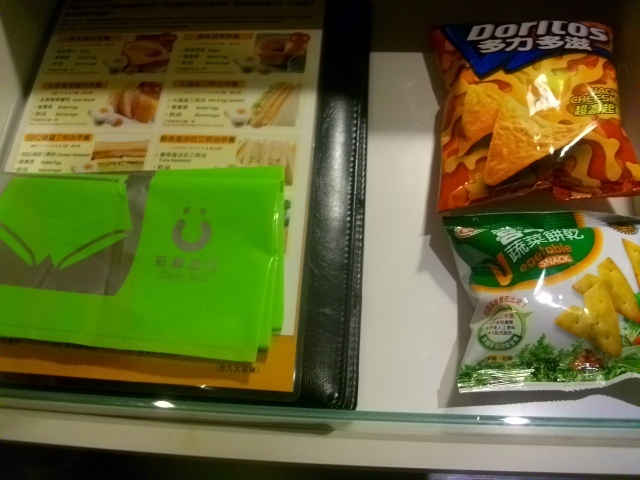 Munchies (Doritos and veggie chips) are also placed on the top drawer. A small ref is also provided if you want to buy water, fruits, ice cream and other snacks from the nearby 711. 3. 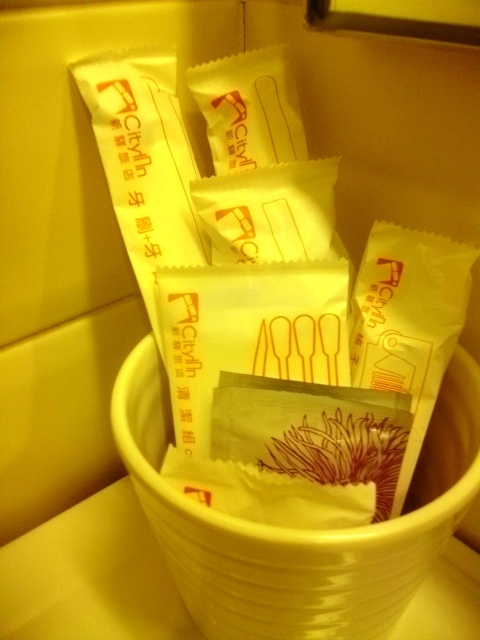 Bathroom amenities are provided and even includes sanitary pads in case emergency strikes. 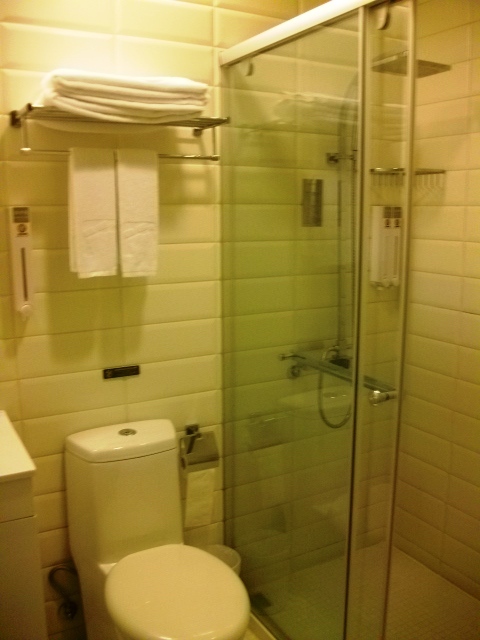 Inside the shower area, there’s a soap and shampoo dispenser. Hot water is of course, available. 4. Walls can be a bit thin though. You can hear your neighbor going about, and during our stay — we can hear them turning on the shower. God forbid that you are rooming next to a pair of amorous teenagers. There’s also no window in the room so you have to make sure to always set your clock on time, especially if you have trips to neighboring counties. Whatever this hotel lacks, they pretty much make up for it when it comes to customer service. The reception area is always very accommodating and easy to talk to, always helpful and willing to lend a hand. As we prepare for our trip back to Manila, we asked the front office if there’s a toilet in the first floor that we can use to freshen up and change clothes. They immediately pointed to the rest room located behind the front office area. Wash room is also clean and stocked with everything that you will possibly need: soap, lotion, a bidet and even a mouth freshener (especially if you had too much grilled squid or fish ball). The Queen with her birthday card from CityInn! My sister said it was one of her best birthdays, ever. 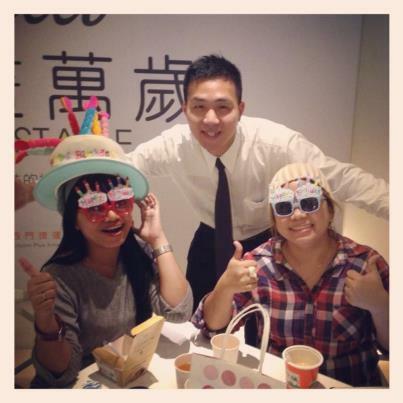 More than the birthday greeting, the staff of this hotel is truly one of the best. They are friendly and very helpful, warm and efficient and were good problem solvers. The treat guests as family and you can sense that they will truly bend over backwards just to please a guest or make their stay comfortable. NOTE: I paid for my stay at this hotel and no part of this trip was sponsored. Here begins my series of posts for the Taipei trip, which was unfortunately delayed following a death in the family a day after we arrived for Taiwan. Keyman’s Hotel is a hotel that could have been really great: except for the little hiccups that really add up in the long run. Centrally located in the vicinity of the Taipei Main Railway Station, in a street directly across the Taipei West Bus Station. To go to this hotel from the Taipei Taoyuan International Airport, you can take the Kuo Kang Bus from the airport going to the bus terminal. 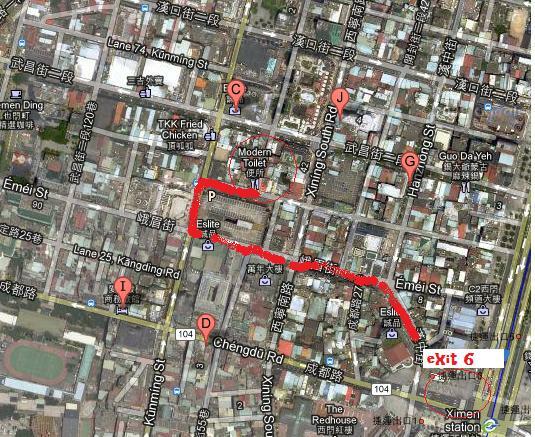 Fare is just NTS 135 one-way and will take you 45 minutes to an hour, depending on the traffic. But since my sister and I arrived 12:40 and was able to went out of the airport by 1AM in the morning, we booked transfer services from another hotel. You see, Keyman’s is a last-minute choice since we weren’t able to book the first night with out hotel of choice since all rooms were already fully-booked. We booked the hotel directly on their website — which is quite fast and efficient, considering that most text are written in Chinese. A confirmation of booking and payment was immediately sent to my email address upon payment and Keyman’s is known to address all email inquiries promptly and efficiently. Keyman’s is the kind of a hotel perfect for those who wanted immediate access to any means of transportation going in and out of Taipei. Directly in front of Huaining Street, where the hotel is located, is the highway as well as the bus stop. A few steps away is the entry to the MRT station which leads to the massive Taipei Main Station where aside from the MRT, you can also board high speed trains for your trip to the Taiwan countryside. Like I always do, I found this hotel over Trip Advisor and as recommended in other travel forums. Rooms are affordable, starting at NTS1,800 for a “Succint Room” which is I think, their term for a double room. 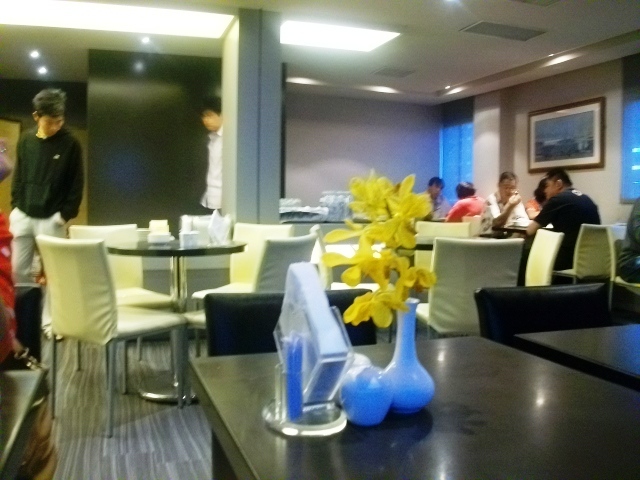 The room rate is already good for two persons, including breakfast served at the hotel’s topmost floor. In spite the very late arrival (or early morning, depending how you look at it), check in was quick and very efficient. We were given our keys to our room which is located at the 3rd of the eight floor establishment. The key itself manifests that Keyman’s is a very old establishment. It’s not the typical key cards present now in hotel establishments but a old school key attached to a long plastic key chain. The hallways are wide and pleasant, but you can sense the hotel’s been around for a very long time, judging from the decorations and furnishings adorning the halls and the room itself. Clutching the key, it felt like we were transported to late 1980s Taipei and somewhere around the corner, will come out people dressed for groovy 1980s with their big hair and equally big shoulder pads. In one of the balustrade, a comforter was hanged to dry. The room, while old, served its purpose well. There was an old television set where many channels can be accessed (yes, there’s CNN) — we flipped through channels serving as background noise while we go about making ourselves comfortable. There was a reusable Japanese-style slippers for our use and a simple coffee and tea making facility on the side. an old lampshade on top of a old-school control panel. 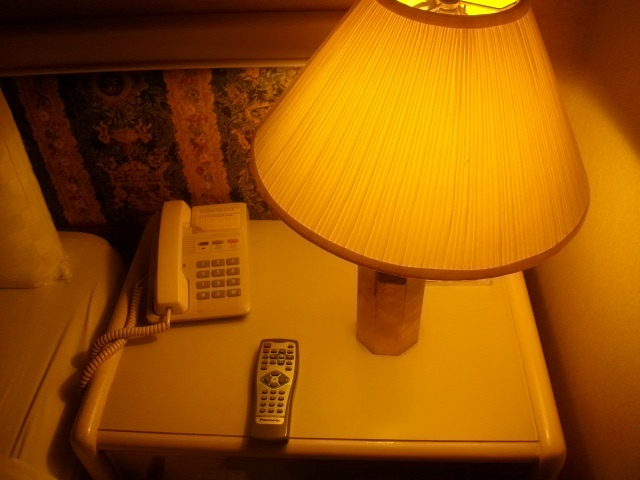 The lampshade was on top of a very old-school looking console where you can see knobs for turning on the light, controlling the brightness of the lampshade. There were other buttons too, but I was afraid to fiddle with it for fear that I will short-circuit the whole room. Plugs for charging your gadgets are too few and you have to unplug the TV if you want to charge your electronics — that also is a cause of worry since the wirings are quite old. The love seat beside the window is comfortable and the fabric decoration is so spot on 1980s (memories of my grandma’s old sofa set flashed through my eyes). There’s coffee and tea provided and you can get your hot water on the water dispenser located in the hallway. 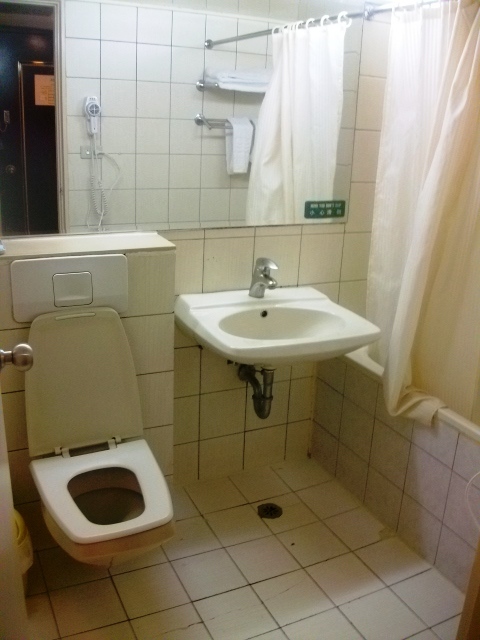 The Toilet & Bath was spacious and stocked with complete bathroom amenities. 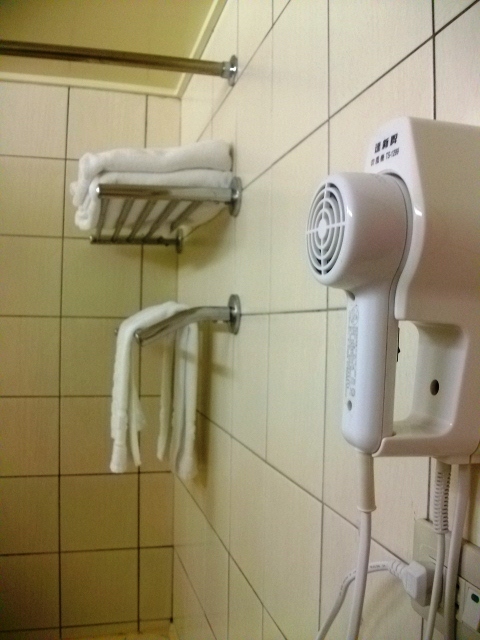 A hair dryer was also provided and which we used liberally in the morning. 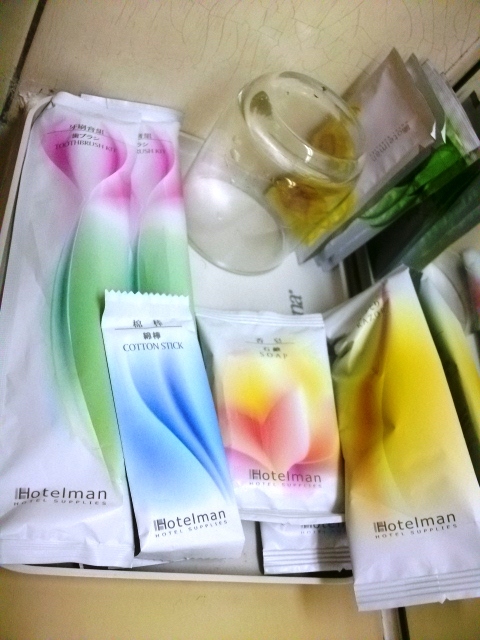 The bathroom kit (shower gel, shampoo, toothbrush with many toothpaste) was a generic brand but very useful and decent. In the end, Keyman’s is a good hotel located in a perfect location — albeit one that’s getting on with age and definitely showing it. And yes, the rock-hard beds. I would like to believe that my sister and I were used to sleeping on hard surfaces, having our share on sleeping on a thin mat spread to the ground. 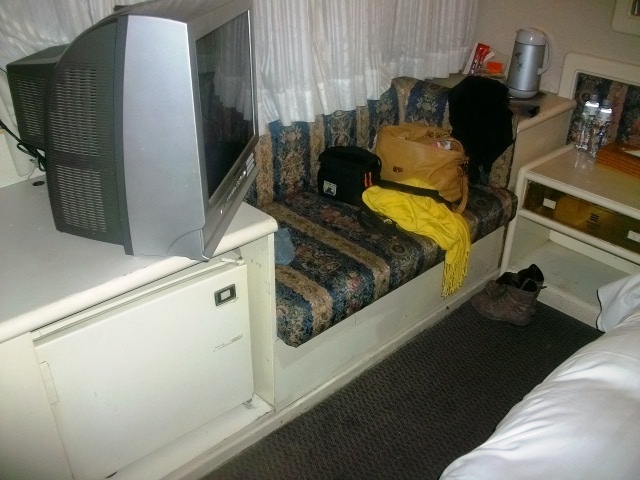 But the bed at Keyman’s, in spite how nice it looked on picture, was the hardest bed I’ve ever slept on. Doesn’t help really when you are given one small pillow that’s quite a bit thin and hardly useful in keeping your neck comfortable. My sister and I hardly slept at all because the bed was bothering our backs. Though we knew that our stay in Keyman’s was only for about a few hours and we intend to check out early in the morning to proceed to our hotel in Ximending, we ended up waking really early because we hardly slept at all — tossing and turning from 2AM to 8AM due to the unfortunate bed. It was so uncomfortable, I felt like my spine was realigned away from my neck. After having to deal with tossing and turning, we decided to head for the free breakfast and take out our misery on the free food provided on the Restaurant floor of Keyman’s. 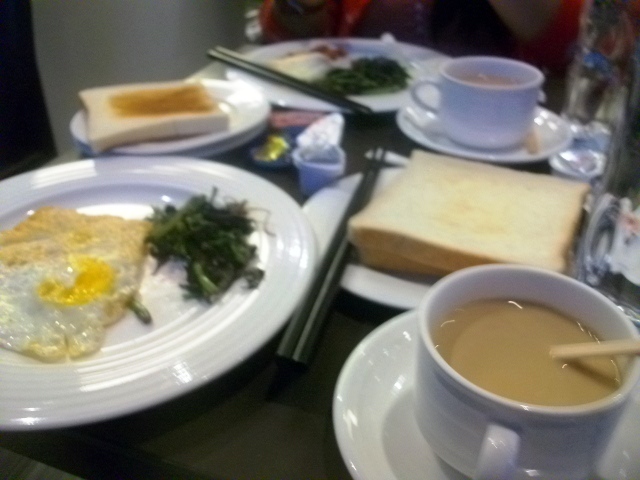 The breakfast had limited choices but enough to nourish and sustain you for a day of traveling. There were bread, butter and jam for those who prefer western brekkie, and a pot of congee surrounded by traditional chinese toppings (peanut, veggies, chicken or pork floss), sauteed veggie which looked spinach and sunny side eggs for those who want to fill up. 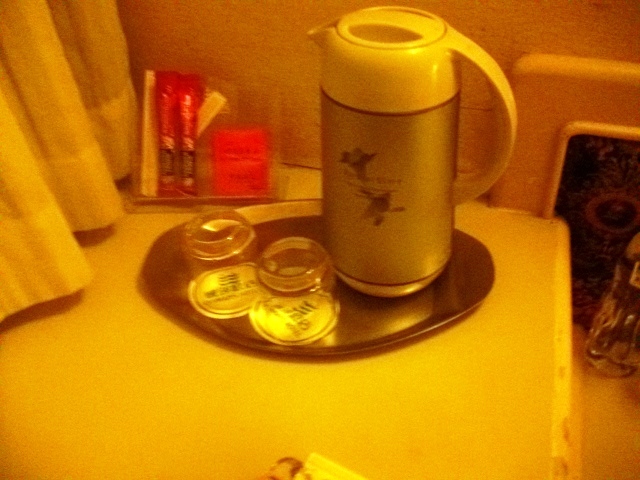 Coffee is also provided as well as bottled water. However, the servers were quick and very efficient and friendly and I noticed them always replenishing the bowls of food to ensure that it’s always filled up. Frustrated by the need to wake up early due to the hard beds, my sister and I ended up having our fill during breakfast, joking that we are after “getting our money’s worth” since we are due to check out after breakfast and we have been miserable all morning, no thanks to the rock-hard bed. If you don’t mind sleeping on a hard bed, in exchange for a centrally located, reasonably priced hotel — why don’t you give Keyman’s a try? Service is really good, if only they’d do something about getting more comfortable mattresses.